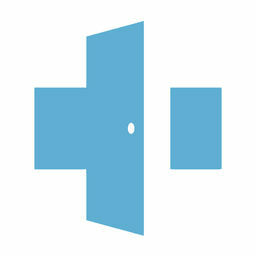 We provide access to doctors via mobile phone, tablet or computer. Wait in the comfort of your home or contact us while on the go. You have nothing to lose. Come try for FREE today. No pretest. No voicemail. Doctor to patient conversation from the start. A doctor will screen your problem and if need immediate referral, we will arrange. All at no cost to you! Appointments are preferred. Immediate consultation requests can be made through our email link at the bottom of the page. We contract only board certified physicians. We offer both laboratory and imaging studies at market costs. Centers contracted all over the state. Interpretation included. Click for current pricing table. Arrange a consultation time with our doctors below or via direct email. Payment via credit card after consultation completed through Paypal email invoice. Telemedicine is the use of modern computer and video technology to bring high quality health care directly to you. Carolina Online Health is not meant to replace your doctors. Instead, we compliment existing services when either urgency or convience necessitates alernatives. Yes. This website links to video software (Doxy.me) which is HIPAA-compliant. Our electronic medical record provider (Practice Fusion) also meets all standards for protection of your personal health information. This means your privacy is completely protected! No. We do not accept any insurance in order to keep our prices as low as possible and this is known as direct pay medicine. We accept only credit or debit cards. Health Savings Accounts (HSA) may be used for expenses. Payment is requested via email invoice upon completion of visit, and is guaranteed secure through Paypal. The cost is $60 for a visit. Labs and x-rays are available for an additional fee. This is a fraction of the cost of an ER visit or even a visit to an urgent care. If you have a medical problem that requires you to be seen in person right away or referred to an ER, you will not be charged for your visit. Yes. If you need a prescription, we can write for this and electronically send it to a pharmacy near you. Please note that we cannot prescribe medications for pain, ADHD or anxiety (Class IIc medications) via telemedicine. Dr. Circle was very quick to respond and was very helpful...if this service wasn't available, we'd probably spent the day at a local urgent care or had to cut our vacation short to get the medical attention needed. Excellent, quick and very cost efficient! THANK YOU Carolina Online Health! So convenient to get personal medical attention from the comfort of my home after working sick all day! My prescriptions were ready for pick up within an hour of my on line appointment. This group is phenomenal. I have had the pleasure of working alongside each of them for several years, as well as myself or my family being in their care at one time or another. Couldn't ask for a more talented, caring, and intelligent team to take care of you and yours!